Marian Goodman Gallery is pleased to announce our third exhibition of work by Yang Fudong which will be on view from March 28th through April 28th. Presenting a selection from an intriguing new body of work that Yang has created over the last three years, the works on view extend his exploration of the relationship between time, place, reality and artifice but also reveal and critique the process at the very heart of Yang’s process and of film making itself. This is a notion that Yang has developed further in the second version of The Fifth Night, as well as in another film installation made in 2009, Dawn Mist/Separation Faith. In both works, Yang included the video output from several monitors that were connected to the seven film cameras and some of the ‘bad takes’ that would normally have been discarded. By including this revelation of real and present time with its imperfections and mistakes, Yang not only draws a contrast to the fictional, theatrical time of the production but also reveals one of the ‘truths’ of his process. 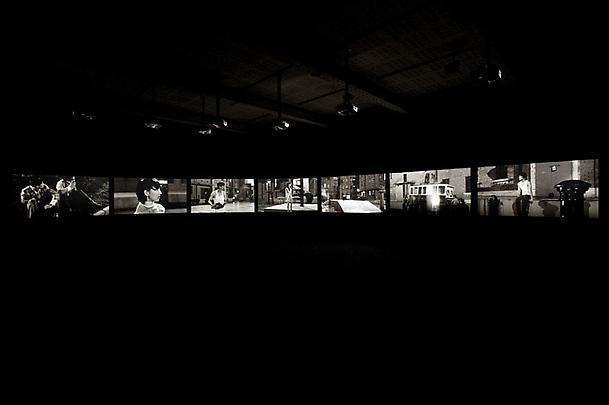 The exhibition is completed by a set of photographs which suggest yet another time period. 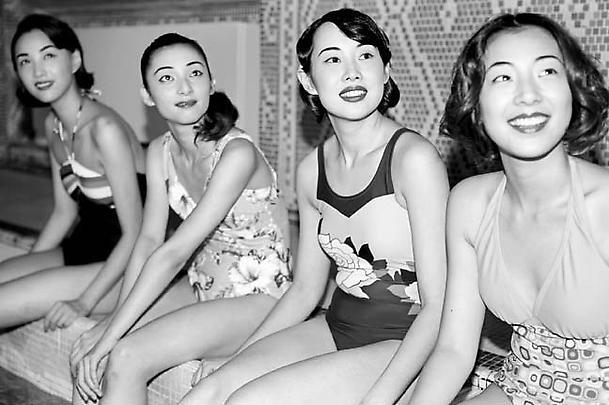 They were shot around the Art Deco swimming pool at the International Hotel in Shanghai – and take their title from this location. 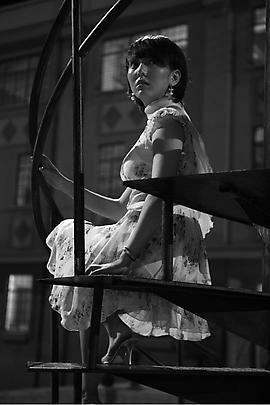 The images are evocative of the Chinese ‘Modern Woman’ - as seen in advertisements, calendars and film posters before the second World War – a time of possible emancipation for women. Yang Fudong was born in Beijing in 1971 and trained as a painter at The Academy of Fine Arts Hangzhou from 1991-95, and then later in the Department of Photography there, as well as the Film Academy Beijing in 1996. One of the most important artists to emerge in contemporary China, his film and photographic work is characterized for its painterly approach to its subject. Recent solo presentations of his work include one-man exhibitions at Parasol Unit, London; Sherman Contemporary Art Foundation, Sydney; and Galerie Marian Goodman, Paris in 2011; Hara Museum of Contemporary Art, Tokyo; National Museum of Contemporary Art, Athens; and Kunsthaus Basel in 2010; Museum of Contemporary Art, Denver; MuKHA, Antwerp; Asia Society, New York; and Zendai Museum of Modern Art, Shanghai in 2009. Earlier solo exhibitions of his work were seen at The Phoenix Art Museum, Phoenix, Arizona (2008); Sackler Gallery, Smithsonian Institution, Washington, DC (2008); Parasol Unit, London (2006); Stedelijk Museum, Amsterdam (2005); Castello di Rivoli (2005); Kunsthalle Wien 9(2005); and Renaissance Society, Chicago (2004). Upcoming exhibitions include a solo presentation of The Fifth Night which will be presented at the Vancouver Art Gallery from May 12 – September 3, 2012. Yang Fudong’s work will be included in the group exhibition La La La Human Steps at Istanbul Modern through May 6th, and The Best of Times, The Worst of Times – Rebirth and Apocalypse in Contemporary Art, at Mystetskyi Arsenal, Kiev, which will be on view from May 17th – July 31st, 2012. The gallery exhibition will be accompanied by a brochure featuring an interview between Li Zhenhua and Yang Fudong. Please join us at the opening reception from 6-8 pm on Wednesday, March 28th. For further information, please contact the Gallery at: 212 977 7160. From an interview between Li Zhenhua and Yang Fudong published in BOMB/Number 118 winter 2012 pp. 56 – 63. Reprinted in part in an exhibition brochure published by Marian Goodman Gallery to accompany this exhibition. From an interview between Li Zhenhua and Yang Fudong partially included in an exhibition brochure published by Marian Goodman Gallery, New York to accompany this exhibition.